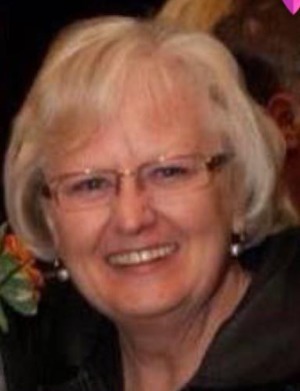 Phyllis Conlon, age 70 of Maricopa, Arizona, passed away on April 15, 2019 with her loving husband of 51 years, Michael Conlon by her side. Phyllis was one of nine children of parents Harry and Mabel Schofield who preceded her in death with sister Thelma (Schofield) Johnson and brother in law Robert Boothby. She is survived by: Sisters Harriet (Schofield) Boothby, Evelyn (Schofield) Keen and brother in law Dan Keen, Marry (Schofield) Halstead and Brother in law Roger Halstead, Barbera (Schofield) Barnhardt and Brother in law Steve Barnhardt; Brothers Harold Schofield and wife Chiyoe, Gene Schofield and wife Jonita, Vernon Schofield and sister in law Georgia. She is also survived by two children and their families: Daughter Michelle (Conlon) Wilson and son in law Phillip Wilson of Argile, Texas, and their children Cheyenne Riggs and son in law Drake Riggs, granddaughters Krystal Wilson and Jade Wilson and great grandson Mikie. She is also survived by Son Christopher and daughter in law Brandi of Charlotte, NC and granddaughter Blakely. Phyllis enjoyed playing cards with neighbors and friends, making beautiful quilts, and volunteering for her church. She was an amazing mother and grandmother who made friends and a beautiful home everywhere she and Mike moved (In Iowa: Lakeside, Ames, Cedar Rapids, Waterloo, Sioux City, Mason City; In Minnesota: Stewartville, Mankato, Rochester, Duluth and New York Mills; In Wisconsin: Biloit; In Washington: Renton, Moses Lake, Yakama, Longview; In Oregon: Rainer; In Texas: Trophy Club; In Arizona: Mesa and Maricopa). She will be sadly missed by all who knew and loved her. 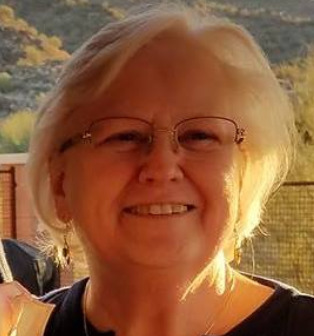 A Celebration of Phyllis' life will be held at Richardson Funeral Home, Tempe, Arizona on April 27th, 2019 at 10:00 AM. Another service and burial will take place in Verina, Iowa on a date to be determined. Richardson Funeral Home, Tempe, Arizona is compassionately serving the family. There's still time to send flowers to the Celebration of Life at the Richardson Funeral Home at 10:00 AM on April 27, 2019.